Hello all, its been awhile since I've posted (sometimes other responsibilities come before the bike unfortunately). Over the last week I've been messing with my 94 F2 sorting out some of the issues. My bike has always make a scrape like noise in the front end that sounds like a rotor is bad. I have put a set of used rotors on, said to be straight and in good condition. Visual inspection matches his discription, they looked new and off a well taken care of bike. New pads in the front and new wheel bearings (All ***** Racing). To top it off I put a set of new Dunlop SportMax Q3's on her. The first ride the rotors didn't make a sound, at least not that I heard. After a couple rides, nothing over the top as far as beating on it, the noise has come back. I'm starting to think maybe the pads are just making noise from the cross drilled rotors? Any buddy else have this sort of noise? Any a couple of pics because why not? 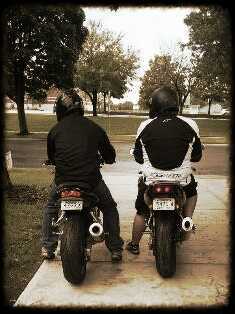 And a pic my sister got as my brother in-law and I were warming the bikes up to test the new tires. The pads "kiss" the rotors and give it a sound somewhat like you're describing (scraping), the important thing is that they're not applying actual pressure. Dust seals can make a sound too, but it sounds like a plastic/rubber sound. Cleaning the pistons can help the pads to "kiss" a little less, but they'll always do that somewhat. Is it a consistent sound as the wheel turns? And the other sound you're hearing, when you're under braking, does it sound like a turbine that slows down as the bike does? If so, again it's normal. HH pads will do that. Last edited by Conrice; 09-01-2014 at 09:04 PM. Its a consistent sound, but the sound does go away when I apply pressure to the brakes. There is no shake or anything in the front when breaking anymore, so I dount its an abnormal sound, but figured its best to get some more opinions. Also it does make the turbine noise as I'm slowing down but usually more so if I'm stopping quickly. 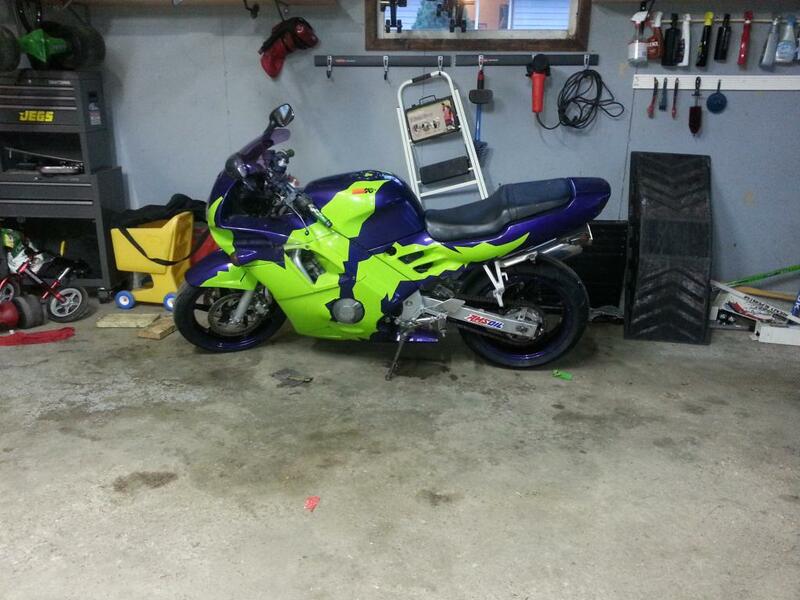 Mine makes a lot of pops from the broken fairings after the PO laid it down. I know what you mean, they are noisy! 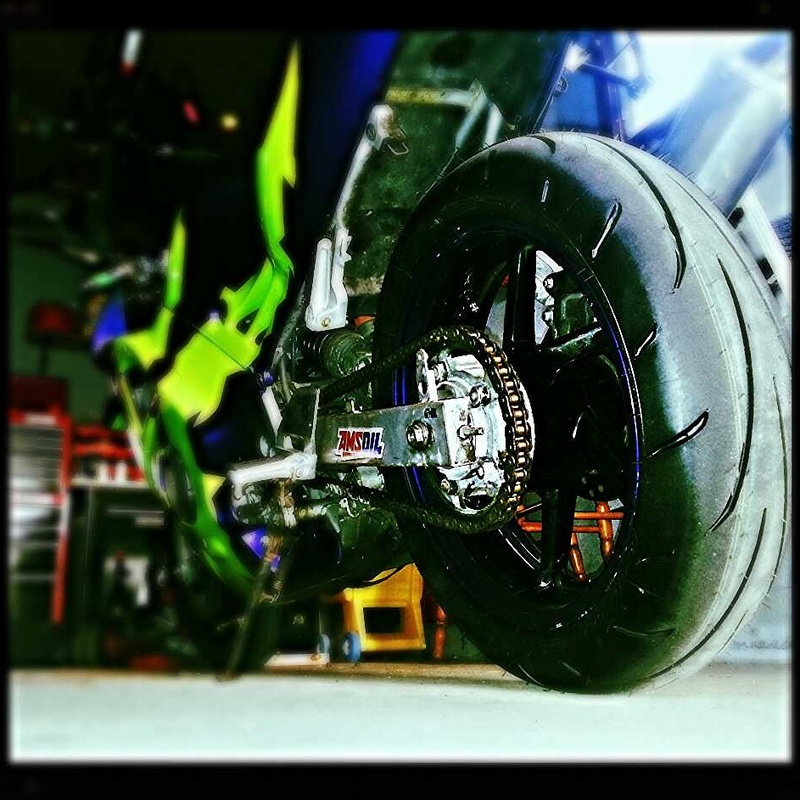 Check the clutch side fork leg. It floats in/out on the axle when the pinch bolts are loosened. If it's not centered, the caliper bracket can rub on the rotor. This is more likely to happen if a fork is bent. Quick Reply: Does your CBR make any odd noises?